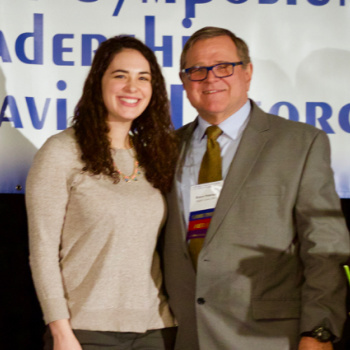 The 2019 awards ceremony of the Midwest Symposium for Leadership in Behavior Disorders (MSLBD) recognized current and future leaders in our field. We welcomed one new member to the MSLBD Master Teacher group. Review award criteria here. 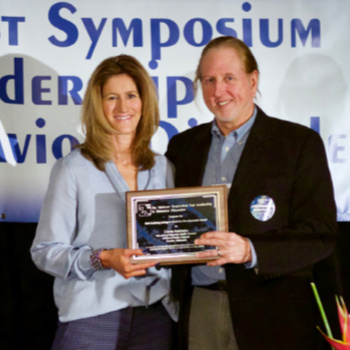 The Midwest Symposium presents this award to an individual who has exhibited outstanding service and leadership to the field of behavior disorders on a national level. 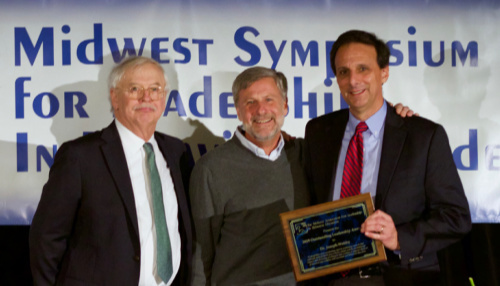 Outstanding Leadership Award: Dr. Joseph Wehby (far right), Peabody College, Vanderbilt University with Carl Smith and Tim Lewis. "In recognition of his unrelenting rigor in conducting research that addresses daily problems of practice in schools and his unconditional support and mentoring of colleagues and students to improve the lives of educators and students with emotional and behavioral disorders." 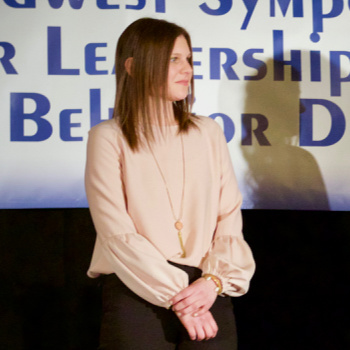 The Midwest Symposium presents this award to an individual who has exhibited outstanding achievement and excellence as a building or program administrator serving students with behavioral needs. "For exemplary leadership in recognizing and encouraging the potential in all students and staff." Building Bridges: Seeds for Program Development Stipend; Carrie Fairbairn (left), Holling Heights Elementary School, Millard Public Schools, with Mike Paget. 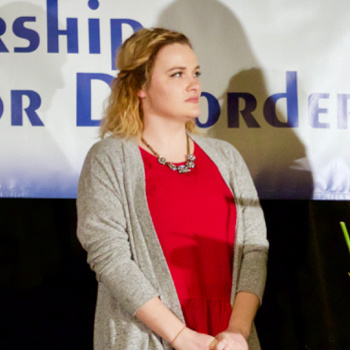 The Building Bridges: Seeds for Development Award is a stipend for classroom or a program to support a variety of activities to improve education for students with emotional/behavioral disorders and autism spectrum disorders. 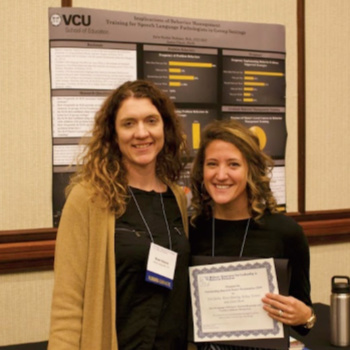 "In recognition of outstanding educational endeavors that support students with emotional and behavior disorders and their families in public schools." Provided to students pursuing, or applying to pursue, a Doctoral degree in special education with a program emphasis in behavior disorders or a closely related field. 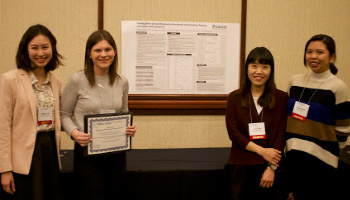 Doctoral Degree Stipend: Emily Gregori, Purdue University. 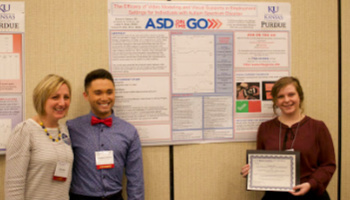 Doctoral Degree Stipend: Elisabeth J. Kane, University of Nebraska-Lincoln, with Reece Peterson. Introduction of the newest Master Teacher, Chloe Pyle, Ogden Elementary School USD 383 Manhattan-Ogden. The Midwest Symposium for Leadership in Behavior Disorders Master Teachers are a group of experienced professional educators committed to bridging the "research to practice gap" by promoting the use of evidence-based practices in their work directly with students who exhibited behavioral challenges in public schools. 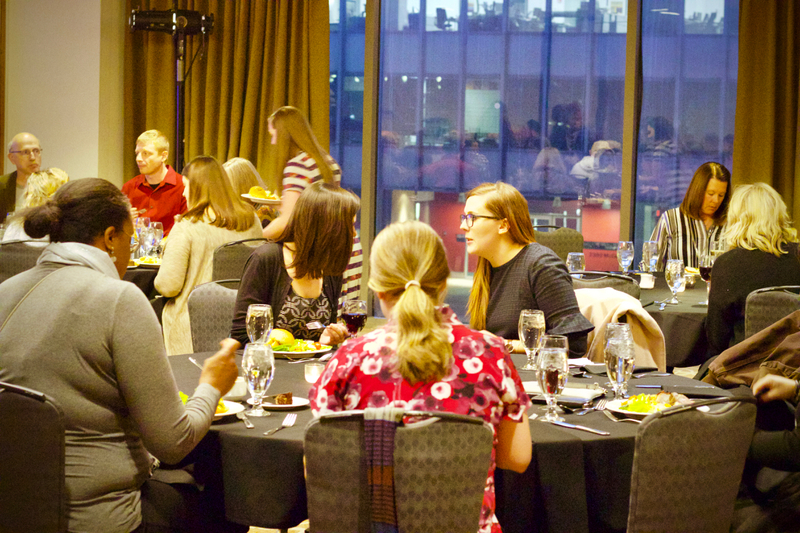 Founded in 2006, the master teacher group provides a strand of practical, "what to do on Monday" presentations at the annual MSLBD symposium every February and contributes tips and tools on this website to help teachers in their daily practice. 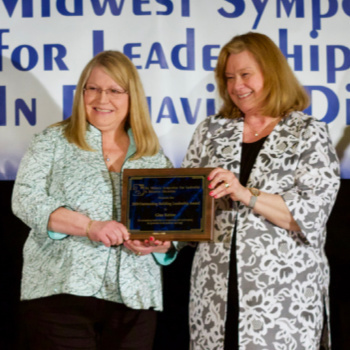 The Midwest Symposium for Leadership in Behavior Disorders recognizes individuals for the following awards. Review the criteria and nomination forms for these awards, here.